How do I connect my iCloud email to Studio Ninja? Do you have an iCloud email that you'd like to use to send emails from? Set up an app-specific password for your iCloud account. Follow the guide here on how to set it up. Make sure you're using your app-specific password, enter your iCloud email address and password and hit save settings. 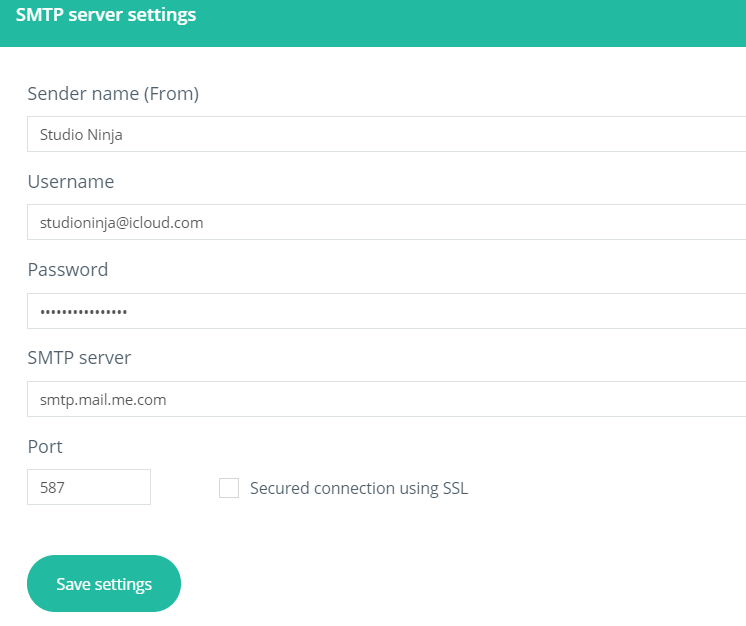 Your iCloud account is now connected to Studio Ninja and you can use it to send emails!